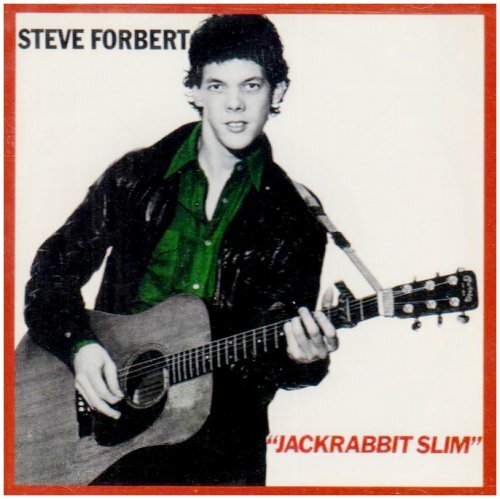 Steve Forbert is a singer-songwriter artist whose lone hit, “Romeo’s Tune”, reached #11 on February 23, 1980. At the time, Forbert was hailed as the “new Bob Dylan”. Forbet didn’t have any commercially succesful songs after that. It didn’t help that he had contractual issues with his record company, which prevented him from recording for several years. ’80s fans may recognize Forbert from his cameo appearance in Cyndi Lauper’s “Girls Just Wanna Have Fun” video, playing her boyfriend. Steve Forbert still writes and performs songs. His songs have been recorded by several artists, including Rosanne Cash, Keith Urban, Marty Stuart and Webb Wilder. Question: What phrase did Fred the Baker mutter in Dunkin’ Donuts ads? 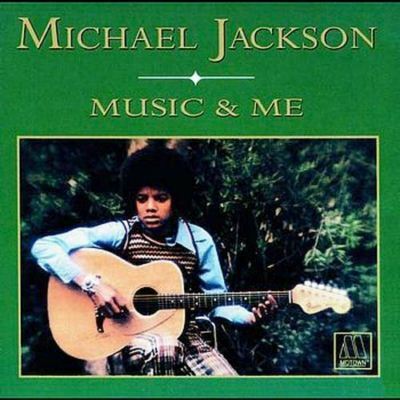 Question 1: How many studio albums did Michael Jackson release as a solo artist before he passed away? Question 2: How many children did Katherine, Michael’s mother, give birth to? 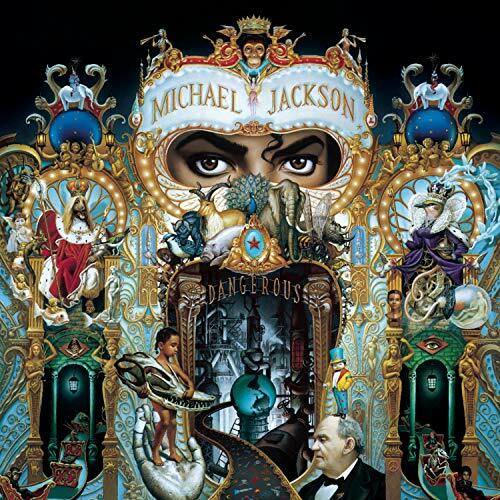 Question 3: Michael Jackson publicly posed with all of the following cartoon characters/mascots except which one? 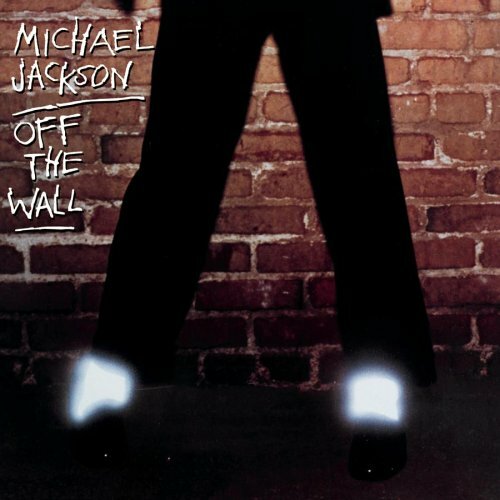 The 10 albums Jackson released while he was alive are: “Got to Be There” (1972); “Ben” (1972); “Music and Me” (1973); “Forever, Michael” (1975); “Off the Wall” (1979); “Thriller” (1982); “Bad” (1987); “Dangerous” (1991); “HIStory: Past, Present, and Future, Book I”(1995); and “Invincible” (2001). Katherine Jackson had ten children. Sadly, Marlon’s twin brother Brandon died 24 hours after birth. The children are: Rebbie, Jackie, Tito, Jermaine, LaToya, Marlon, Brandon, Michael, Randy, and Janet. 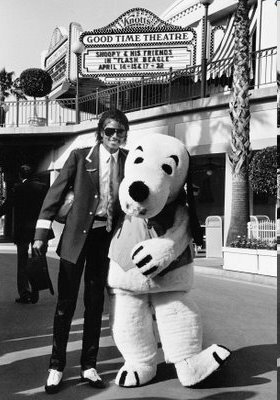 Michael was seen hugging Snoopy, a Knott’s Berry Farm mascot, in 1984. He landed in a helicopter with Mickey and Minnie in 1992. 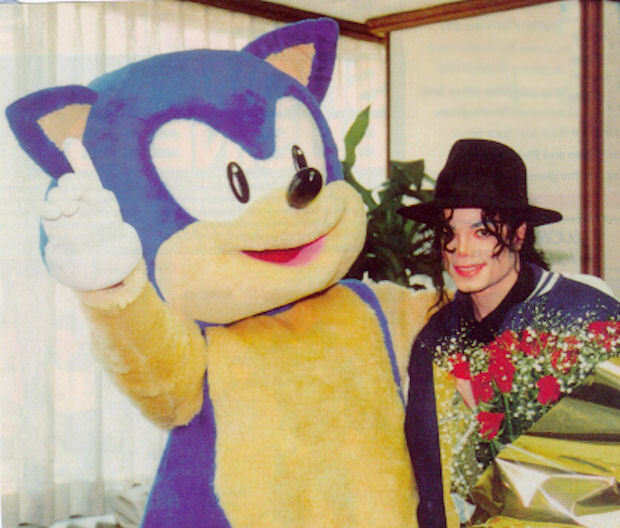 And he took a picture with Sonic the Hedgehog in 1994. However, in 1975, after years of touring, Johnston, became severely ill and was hospitalized for a bleeding ulcer. The band was just about to go on tour when this happened. So they hired Michael McDonald, who became the new lead singer of the band. This changed their sound. So when Johnston was finally feeling better, and came back, he had no more influence. So, he left the group in 1977, and went solo. He was not nearly as successful on his own. His lone hit was “Savannah Nights”, which peaked at #34 on January 12, 1980. Johnston joined the Doobie Brothers when they reunited together for a brief tour in 1987 to benefit Vietnam veterans. This event led to the permanent reformation of the band. He is still with the Doobie Brothers today. Hey Gang, this is one of the rare non-80s related articles that I am posting today. My wife and I survived Hurricane Irene. However, our power did not. We lost power between 8:30-9:00 yesterday morning right at the very beginning of the hurricane. If it comes back up sooner rather than later, I will be shocked (hopefully not literally). To make matters worse, we have well water. The water comes through a pressure tank, which runs on…you guessed it…electricity! So, we have no water either! We filled up buckets of water before we lost power, so at least we can get the toilets to work for most of the week. Things could have been much worse for us though. The neighbor behind us has a couple of huge trees that are not too healthy. They wobble like crazy in a little windstorm – never mind a hurricane! But, they just lost a few humongous branches, which landed in their own yard. So, we had no damage, and just lost a refrigerator full of food (and the clock is ticking on the freezer full of food). So, I apologize ahead of time if the Daily Trivia and Music Trivia are sporadic this week. I only have my lunchtime at work to write them up. Hopefully, I’ll be back in full force before the week is over though. Is there anybody else that was affected by the hurricane this weekend? I hope everybody is doing well. Last Question: What delivery company aired ads featuring a fast-talking executive named Mr. Spleen? Fast-talker, Mr. Spleen, was played by John Moschitta. He caught the eye of Federal Express’ ad agency when he appeared on a 1980 episode of That’s Incredible!. Peter Piper, with his peck of pickled peppers, has nothing on Pittsburgh-Peter’s pal. You know, “Peter-you-did-a-bang-up-job-I’m-putting-you-in-charge-of-Pittsburgh-I-know-it’s-perfect-that’s-why-I-picked-Pittsburgh-Pittsburgh’s-perfect-Peter-may-I-call-you-Pete?” Inhale. The man with the lightning delivery on the Federal Express commercial is John Moschitta Jr., the fastest talker in the world, or so he says—and he says it so fast he’s hard to argue with. Moschitta has been clocked at 530 words per minute, roughly three times faster than average, faster even than a speeding slicer-dicer commercial. Moschitta is scheduled to put his motor mouth to good use this week when he appears on the Oscars as star of the evening’s traditional low point, reciting Academy Award rules. He will dispose of the whole thing—the voting, the tabulating, the accounting firm of Price Waterhouse, all that boring stuff—in a dizzying 15 seconds. It usually takes two to five minutes. He’s been practicing his spiel for the past six weeks, starting off every morning with a warm-up exercise in the shower: “Mama’s a mean mama, daddy’s a dear daddy, baby’s a bad baby,” 20 times, fast. Moschitta, 28, discovered his loose tongue when he was 12, growing up on Long Island. He wanted to set a world’s record as part of a local cerebral palsy benefit. “Most of the records,” he recalls, “were for things like riding roller coasters, sitting on top of flagpoles for weeks or eating cars. At that point the Guinness record for world’s fastest talker was 500 words a minute. I figured I could teach myself that.” And he did, driving his family—father John (sanitation chief for Hempstead, N.Y.), mother Carol and five sisters—nuts in the process. “I was a terror of a brother,” he admits. His mouth hasn’t made Guinness yet—”I’m waiting for them to catch up with me,” Moschitta says—but it did eventually land him a career. After acting off Broadway, doing production for Qube cable TV in Ohio and a stint as Dom DeLuise’s secretary and cook, Moschitta got his break: a 1980 spot on That’s Incredible that caught the eye of Federal Express’ ad agency. Before you could say “higher tax bracket,” he was cast as Mr. Spleen, the executive in overdrive. Moschitta’s dynamo delivery won him a 1982 Clio award (the Oscar of advertising), earnings of nearly $150,000 a year, spots on Madame’s Place, Matt Houston and the upcoming Zorro & Son (as Corporal Cassette, a human tape recorder), and enough potential business to keep the phone in his small Santa Monica home ringing every 10 minutes. No sweat. He can handle plenty of phone calls; in fact, he could’ve read you this story in 54 seconds. Ahhh, the one-hit wonder! They have been around since music has been charted. There was definitely no shortage of them in the ’80s. There are many reasons for them. They could have been a fad. They may not have been able to handle their quick fame. Or, just because they were a one-hit wonder in the U.S. doesn’t mean they didn’t have hits in other countries. For the purpose of this new series, I will go through the One-Hit wonders in the U.S. The Sugarhill Gang started off strong. Their hit, “Rapper’s Delight” was the first ever hip-hop song to become a top-40 hit. The song peaked at #36 on January 12, 1980. All of the members of the group, Wonder Mike, Big Bank Hank and Master Gee, hailed from Englewood, New Jersey. The Sugarhill Gang never again topped the charts, though they had a few minor hits, such as “Apache”, “Eighth Wonder”. In 1999, they reunited and recorded Jump on It!, a hip hop children’s album. They continue to tour. Question: What delivery company aired ads featuring a fast-talking executive named Mr. Spleen? Last Question: What sports announcer was nominated for an Emmy in 1989 for his coverage that began: “I’ll tell you what, we’re having an earth—-“? When ABC restored audio via telephone 15 minutes later, Michaels quipped, “Well folks, that’s the greatest open in the history of television, bar none!”. Michaels then reported from the ABC Sports production truck outside Candlestick Park on the earthquake, for which he later was nominated for an Emmy Award for news broadcasting. Michaels relayed his reports to Ted Koppel, who was stationed at the ABC News bureau in Washington, D.C. Fairly new readers may not know that I was living in the area at the time, and surivived the Quake. You can read my story, that I posted last year, over here.